I am a HongKonger, the founder of CFO Today-an asset and property management and consulting company. I lived through transition from a poor family living in old public housing estate with shared toilets with 100 plus neighbors around until I am 11 years old. I never thought of chances of getting in Universities when I was young. I was able to get my first degree in Hong Kong in 1995. Life has not been easy. I started off working as trainee in Zeppelin Capital and was involved in supporting an investee company soon after vertical integration. I was then transferred to Ernst & Young as accountant for 2 years in order to gain some more professional exposure. I thought I was a bright student since I studied master courses and got distinctions in those when I earned my bachelor degree. I also held important positions in universities’ societies. I always want to enter the consulting, or M&A industry which many business top students aimed for. So after I took my CPA exam in the US. I was so confident that I did not want to follow traditional boring way of career. I quitted my job in Ernst & Young and got into a conglomerate called Eton Management doing all sorts of internal audits worldwide. I was treated well living in 5 stars and getting allowances every day. Due to the dream of studying a master, I applied for scholarship and finally got into LSE doing MSc in Operations Research as I would like to have repertoire to exert bigger positive influence on corporate decision rather than just pointing out internal control and management weaknesses. My first career setback was at the time I came back from a study break in 1999. The aftermath of 1997 financial crisis in Asia had hit hard in HK and Eton Management has no immediate need to re-employ me. Then I studied IT and obtained some certificates to make Operations Research more applicable after then I was able to get into consultant positions in data marketing, KM and CRM positions in a few big names in consecutive manner and my salary was able to be raised by 30% after 30% after 30%- for a few successive jumps. I was able to almost double my salary 1 year after I obtained my Master degree. I was very few in Hong Kong to have that skills level which was very sought of at that particular time. However, I have made a decision to get into a telecom giant-Nokia due to my being head hunted. I am also start to worry about dot.com bubble since those big names I worked for are corporate ventures. Although, I was offered a CEO by my boss for one of the software venture at the time, I did not take it and I insisted to resign and get to more admired and stable sizable Fortune 500 company-Nokia. I tried to use my KM and CRM skills there but as an Improvement Manager, I was given performance & process management, costing and six sigma related tasks, etc. I was not able to build up old skills directly but rather I gained supply chain exposures and have eye opener for corporate structure and a lot of practices there. I like the culture there. Things was not as good finally. Lights will not always shine. China’s was announced entry into WTO in 2002 and this has changed the corporate strategy using Hong Kong as a raw material transfer pricing hub. I helped China’s material, technology and staff localization and finally my position, as my 300 co-workers, were transferred to China. Those mainland workers have much much lower salary than I was. I was given extra ‘severance payment’ if I can transfer my skills to 6 people who altogether take up my vast varieties of tasks. I broke my heart but the company has done everything to help us find new job. I got the payment of around HK$100,000. Lacking of orientation, I used my savings gained after spending all money in pursuing my Master Degree overseas plus the severance payment into a small property in Hong Kong in 2004. This was my 1st investment property after acquiring principal residence with mortgage in 2002. That was how I began my investment business. My life was blessed or cursed. I was able to get a job into a local traditional toys factory helping them to make improvement in and Organization and Methods Department. Not long after come a short sighted financial director who advocated brushing up financial statement and sales of the company. Our direction of thought were different and his thought was by no means resembled and accommodated Nokia’s type of working culture and visionary development. I stayed there a little longer than half year and was asked to move on. Then I joined a loss-making china pioneering mobile phone international joint venture and worked as Director there. I was asked to be Director to lead a task force worldwide to optimize process, raise revenue and cut costs. I met the Consulate of France in China who was against any pay cut or firing of staff. It has been a challenge to turn over this lost making company. This position was short-lived until the company have decided not to synergize Alcatel and TCL operation, due to cultural and technical non-compliance, synergies of whom they initially thought of having great benefits. I started to realize that I have to master my own fate. I was trying to finish my doctorate afterwards and began to hope that I have a professional discipline on my own that can never be replaced and hoping that I can exert influences on a wider scope in future. I taught at different universities contract position as Lecturer for 2 years. That was the happiest time since I could control everything in the classroom and consolidated my wide knowledge into output. I lived lively and grew with students. At end of contract I was pulled out to the working world again. I was leading a procurement analysis team to control billion dollar commodities procurement for packaging division of Alcan, currently Rio Tinto. Due to the abrupt rise in oil prices, almost doubling in 2007 to US146 in half year time, I and the whole regional procurement team was put into big pressure and overtime work since packaging requires a lot of oil derivative raw material that rising costs had hit hard company’s profitability. With a new born baby, I quit the job myself to spend more time on family. I believe that I can grow elsewhere and shine everywhere if I am smart. I am confident. Not long after, I joined CJ, helping them acquire food companies. It was one of my top paid job throughout my career. However, the project was suspended due to 2008 financial crisis. Then I realized that I needed to master my own fate, perhaps working for my own. I cannot control if people trust me, works well with me, setting aside politics. I cannot control if a company will continue to use Hong Kong as a base to control China and Asia Pacific. I cannot make more profit no matter how much harder I and smarter I work. Then, with the sudden fall and slide in the financial market, until Hang Seng Index reached near 10424 pt., the world have provided me a lot of potential investment opportunities as most people were fearing. I began to apply my knowledge I gained before in corporate finances, management as well as commodities analysis, into securities and derivative brokerages, fund management and insurance brokerage. I joined a big security firm headquartered in Singapore to start my own business as a trader, and a fund manager. I got no fixed salary but a high commission. I also registered a company with consulting and accounting practices so that I can provide value added services for clients in no competition with main security business. I also started to take advantage of the rising property market in Hong Kong, China and the falling market in Europe and U.S. to arbitrage opportunities. I was successful in capturing these trends and having turned my asset tenfolds during the past decade. In 2014, as an owner director of my current company, I also was invited by the Chinese Government, as a contract advisor, being given directorship position in Investment Promotion Bureau for an economic zone in a local city. The position enables me to give advice into policies development of a brand new zone and to attract funding and maintain big corporate networks and customers worldwide. It will also enrich my network to build up my future career. There is limitation, however, in a socialist country. I am still learning to adapt their top down approach, leader-driven instead of law-driven approach of work. There are a number of artificial elements within the Communist parties and nationally owned enterprises. It is very centralized, layered decision making. It is relationship focus and involved many small circles. This means I will have to make compromise to not to use my market driven, process-oriented, law based professional, direct approach in work and planning if I have to succeed rising up the ladder in that part of the world. It takes huge efforts to solve cultural differences as well as to pierce through the political suppression, power struggle and all sorts of jealous arising from economic differences between mainland China and Hong Kong. I need to make the differences become opportunities. I do not know what is next for me. I am in my early forties. 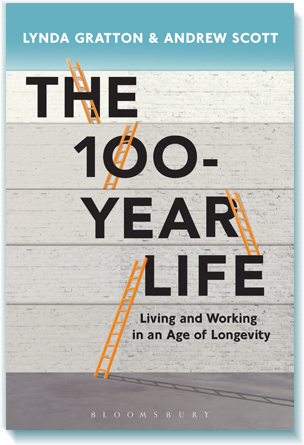 I can see that 100 year life is not easy. To sum up, I can see a livelihood pictures of Hong Kongers changing its role after China takeover for 20 years. I write as if I have had smooth transition in career but it fact it has been very frustrating for me at times. I was almost tried myself to work in virtually most remained economics pillars in Hong Kong, first in e-commerce, then in Procurement & logistics center, and in education and in financial industry, and finally even in political governmental. My career reflected how Hong Kong thrives and falls. 1.E-Bubble burst 2.China took over HK in procurement, HK losing positions and shifted to China 3. Education-Teacher Oversupply and limited local students 4. Growing China Stock Market eroding Hong Kong’s edge 5. China’s increasing influences over Hong Kong in freedom and politics that occurs through all layers, from mainland student learner, to huge influx of mainland cheap labor and intellectual, to bigger Central government control over local enterprises and national enterprises increasing influences and Mainland Chinese leadership in Hong Kong. It is more relationship based, and to a limited extent, skill based. China has the ability and its people wanted to work its way out. There is an increasing tendency to disregard and undermine Hong Kong’s experience and value and even international counterparts’ experiences. Analyzing my own profile, I begin to discover some pattern. In this changing world, even up to 1oo years of live. I was ‘resilient’ . There was constant changes and setback in my career. Each time, it made me stronger than ever before. There was a constant break in between job. I have learnt to be a bus driver, a carpenter, a travel agent, etc. I see a “Lacking sense of peace” as HongKongers since most of the time people uses Hong Kong as a stepping stone. Thirdly, I can see “tough side of mine as a multitasking active person”. I once was upset but I have finally managed to adjust myself to face all these challenges and regard this as a strength rather than a shame. “Going international” is one feasible solution to me. Now 100 year life is another challenge for most countries. I have my honor to take part into finding out a solution. This solution is important for me, now at this aging society. My father and mother have retired at 60s and living on renting a house and never want to work although physically strong enough to do so. I am the only child. I have only probably 10-15 more years of working life while my 2 children are only in early primary school. What if nobody rent the house? What if I got no job? What if my city of residence have no more money to pay pension, welfare and take care of elderly anymore? What if I immigrate to other city whom cannot pay those welfare eventually? These scenarios force me to think about the risk and the ability to sustain lives through age 90-100. We need to work together to find out something to prepare for a crisis. e.g. I imagine if a robot can integrate with elderly people as part of the body so that they can work longer and take care of themselves. Lastly, I have not tried to answer, what if I stayed in Ernst & Young and followed the traditional way. I see many corporate leaders having a long tenure of Big Four background have edges rising quickly in corporate ladder as they mastered important financial decision and information. I believe in “Butterfly effect”. I am inspired by a TV serial -“Emergency Unit (Police)- Overtime Mission”lately in Hong Kong talking about passing through the time. Even if you are allowed to go back to the time and to redo all your actions, it was proven there that the outcome would usually not what we could anticipate, no matter how many time you tried. You end up feeling alone, helpless and in vain. So live with it! Enjoy everyday! Anyway, thanks for letting me contribute my writing.